P6 and P6/7 do the Jitterbug. 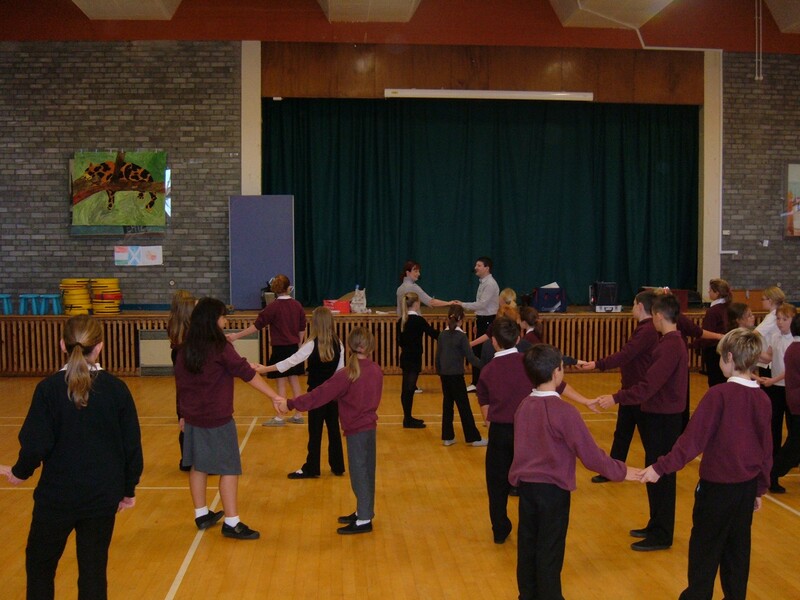 On Thursday 29th October in the morning P6 and P6/7 pupils learned how to do the Jitterbug. Fly Right came to the school and worked with each class for an hour each. Dancing the jitterbug was popular during WW2 and as they have been studying this period of history it seemed like a fun thing to do. The strains of Glen Millar drifted along the corridors. A great way to find out how people entertained themselves. P2T have been busy learning about their senses and decided that they would like to make instruments, write a song, Podcast their performances and share them with you. We worked hard to make our instruments by recycling junk that we had brought in from home. We then decorated them to make them look cool. We had been writing poems and decided to use the skills that we had learned to write our senses songs. In small groups we worked together to choose a tune and write the words to our songs. We then practised as often as we could before podcasting our final efforts. Special thanks to Liam, Kyle, Danielle and Caroline from P7V who helped us with our podcasting. Health Week began with the whole school holding Sports Day on Monday afternoon. This year the sun shone and the children enjoyed an afternoon away from their desks and hard work. The event took the form of a potted sports , testing skills and stamina. Tuesday had everyone dancing away with Andy McKechnie from Street Jam and on Wednesday , Emma Biggart from Active Schools ran the Funky Fitness sessions in the gym hall while some P6 and 7 pupils were competing at Meadowbank with some chlldren getting through to the final heats. LA dance supplied the action on Thursday with some amazing moves on view and Dougie Thomson took the P1 to P4 classes through their paces on the field with some rugby skills training. The evening event on Thursday had over 250 visitors to the school hall where there were displays on the body made by the P5L and P5/6 , First aid and Heart Start by P7 V, Bannantynes, Roots and Shoots, people from the NHS, Dental health, Active schools, Sports Plus, Dr Bike was in the playground, you could even have your nails done to name but a few. Outdoor education had a stand and East Lothian Council were represented too. All aspects of health were covered, you could even have your BMI done! There were yoga sessions, multisports , football skills, and aerobics to join in with and LA dance demonstrated their routines on the stage. It was nice to see some former pupils taking part in this. ABEL( Anti Bullying East Lothian) had a stand too. Lots of tips on how to have healthy snacks and packed lunches were available and lots of free gifts. Friday morning saw the sun shine on the Funrun and Sponsored walk, the week ending as it had begun with all the children involved in the same activity. The older children set off for the promenade in stages and were rewarded with an ice lolly when they returned. The P1 to P3 children went round a circuit in the school grounds and had their lolly afterwards too. A big thankyou to Mrs Corr for organising such a successful week, I am sure everyone at Cockenzie Primary is more aware of how to keep healthy and fit. Thanks to everyone who helped in any way. An exciting week of events has been organised for Health Week at Cockenzie Primary School. P6 hold school camp exhibition. P6 at Cockenzie Primary had a great week at school camp, held at Whithaugh in Newcastleton from the 27th April to 1st of May. They went abseiling, kayaking, on the high wires and did some mountain biking, toname but a few of the They also became dab hands at doing the dishes, wiping tables and sweeping floors. Making their beds was a bit of a challenge for them too. Once back at school, the children then worked in groups to produce an exhibition for their parents to visit and share their experience. The childen were very inventive and creative. There were beds to be made, toast to be cooked, models of the activity courses to look at. Lots of parents came to see the exhibition and the children enjoyed sharing their experiences with them. On the last Thursday before Easter P7 pupils from Cockenzie primary ran a talent show to raise money for Breast cancer. They organised the auditions at lunch times and eventually selected the main contenders for the event. Miss Drummond and Miss Leith helped to supervise the event but took a back seat throughout the proceedings. There was quite a range of performers with singing and dancing, some in groups and even solo performers. The classes who came to watch voted for their star performer and a panel of P7 experts passed comment on the acts. This was a most enjoyable afternoon for all concerned, the parents of the finalists came to watch too and £250 pounds was raised for Breast Cancer. Well done P7, and well done to Anna MCSorley who was voted best act. P7 D pupils organised a book fair for the school recently. The children had to apply for the jobs they thought they would be good at. Craig was responsible for finance and selling. “It was really difficult at times, ” he said, ” customers would crowd round instead of making a queue and they all wanted served at once. I liked filling in my job application but I found writing my CV hard. They had to timetable viewing vists fot the 15 classes in the school as well as the 6 classes in the nursery. These took place in the 1st week and in the second week the children bought their books. The bookfair was a resounding success, the childen enjoyed their visits and then bought books to the tune of £2500. This, of course, means that the school can now order books with the commission from these sales. Mrs McKirdy, one of the P7 parents, came in to help the children on a daily basis. 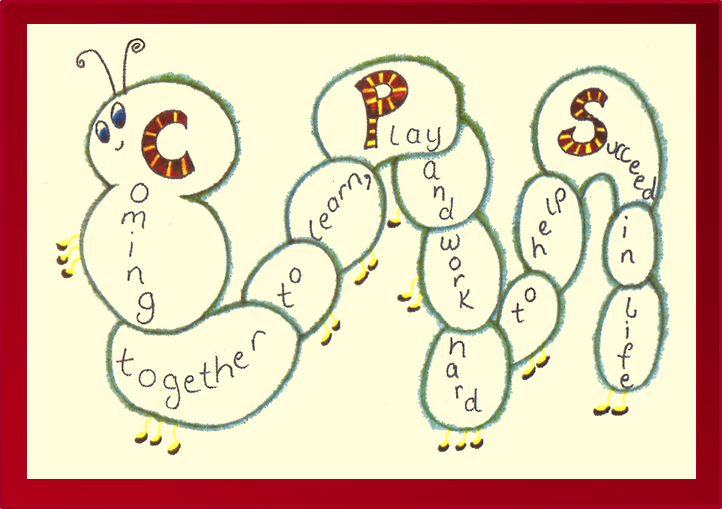 A big thank you to the P7D pupils, Ms Drummond, Mrs borthwick and Mrs McKirdy for all their hard work. This morning children and teachers came to school dressed funny to raise money for Comic relief. All that was needed to take part was a donation for dressing up. There were people wearing red, people with their clothes on back to front, boys dressed as girls, pants on the outside to name but a few. Red noses had also been on sale during the week and every single one was sold! There were red noses galore in the corridors and classrooms. We sang the comic relief song at assembly and a goodie bag was given to the best dressed up child in each class. Over £500 was raised by Cockenzie for Comic relief, Well done to everyone. Miss Cummings P5/6 class 2008/2009 did a project on John Muir.